To be perfectly honest, all of the attention made me a little uncomfortable at first. I wasn’t used to people ogling my body, and for the first time in my life, I was daring to show some skin in tank tops, (slightly) skimpier bathing suits, and — for the first time since I was old enough to buy my own clothes — even girly little sundresses. Still, when all of the excitement surrounding my drastic weight loss began to die down, I couldn’t help but admit to myself that I missed that adoration from others. Eating well and exercising had officially become just a regular part of my everyday life, and the pounds I had lost were old news. I didn’t realize how much the constant praise from friends and family was truly motivating me to keep dropping pounds and look even better for the next time I saw them in person. Despite my headstrong, independent, “I don’t care what anyone else says” facade, I recently realized just how much I do rely on others for validation — in my weight loss efforts, in my career, and in any new endeavor I take on…even kickboxing. If an editor doesn’t call or e-mail to offer their accolades on how well-written my article was, I automatically assume it was a piece of garbage. If my Muay Thai instructors don’t say “nice kick” every five seconds, I take that to mean I’m not progressing and and I’m undeserving of my next belt. Thinking back, I can’t help but wonder if the sudden lack of “oohing” and “aahing” about my slimmer physique had something to do with my suddenly waning weight loss efforts. It might explain why my perfectionist, Type A personality does so well in group exercise classes where there’s always the potential for positive feedback from instructors and classmates, and yet I often have a hard time motivating myself to hit the basement and crank out 100 crunches or lace up my sneakers and go for a run. For me, it’s a whole lot easier hearing a trainer at the gym tell me how fast I run than it is to congratulate myself for beating my own personal 5K time. In fact, my boyfriend — who, thankfully, is never afraid to call me out on my issues — recently asked me why I care so much if other people think I’m good enough. “Why can’t you ever just tell yourself that you’re doing a good job?” he asked. Can we say…light bulb moment? Why do I need someone else to tell me how great I look, how well I write, or how powerful my roundhouse kicks are? Why can’t I just look at myself in the mirror and confirm that I am, in fact, working really hard and — gasp! — acknowledge my own accomplishments? So now I’m trying to become more aware of the negative thoughts that creep in when someone else doesn’t immediately pat me on the back for something I’m doing. Once I started tuning in to all the times I doubt myself or question my own abilities throughout any given day, I was amazed to discover just how often I’m making myself feel like a failure. 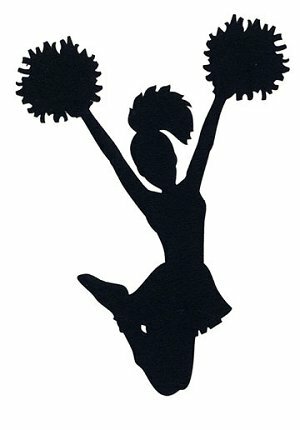 Instead of waiting for others to validate my efforts, I’m working on becoming my own cheerleader. I’m going to pat my own back, give myself a thumbs up, and root myself on as I hit the park for a run, make a healthy choice at a restaurant, or yank myself out of bed at 8am on a Saturday to go to Weight Watchers. Don’t get me wrong — having the support of your friends and family is so important, and I will always owe a debt of gratitude to all of those who offered their encouragement along the way. But I also need to learn how to give myself credit and not rely solely on the passing compliments of others to boost me up. I may not be at my goal weight (yet), and I may not be making big bucks as a freelance writer (yet), but what’s most important is that I am never, ever giving up…and I will get there.